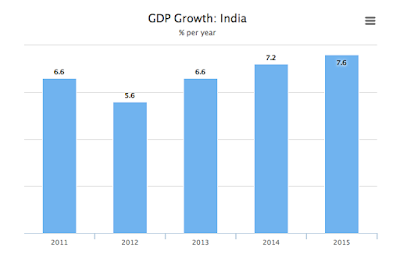 The economy minister, Shaktikanta Das, has given his prediction of India's GDP growth for the coming 2017 - 2018 fiscal year. He says that it will be upwards of 7% and there's not any reason to doubt him. 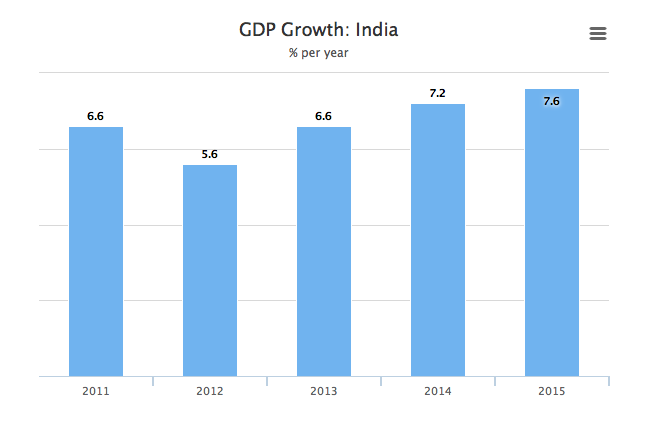 The only potential fly in the ointment any of us can see for India's economic growth is the effects of demonetization, and whatever they are they are now--it has happened, and it has gone. Macroeconomic conditions are such that the government is providing a modest boost to the economy with a smallish budget deficit. Inflation is not negligible, but it does appear under control. Much to most of the growth is domestic and not affected all that much by the global lassitude in growth. Ongoing efforts to restructure bank balance sheets to revive lending and reduce excessive leverage at large corporations is setting the stage for a recovery in investment spending likely to drive growth higher in FY2017.Healthcare has become one of India’s largest sectors - both in terms of revenue and employment. The Indian wellness industry was estimated at close to Rs85,000 crore in the financial year 2014-15 and is expected to grow at a compounded annual growth rate (CAGR) of nearly 12% for the next five years. The industry can achieve about Rs1.5 trillion by FY20, according to a recent report by Ficci and EY. In India, we will see a radical consolidation in the healthcare industry owing to several scenarios. Mega-corporations will have the advantage over mom-and-pop shows. I assume that apart from the government, three-four large players, some of them international giants, will dominate 80% of the market. The sheer size of our country will attract investment in healthcare infrastructure, divided between increasing the reach and deployment of technology. High-end communication technologies, devices and platforms will form the backbone of effective range. Analytics and big data will be the direction setters for the way patients are treated, medically or otherwise.I am reasonably sure that the practices of medical professionals will be largely institutionalised owing to super-specialization. The design of current set-ups like hospitals will see a sea change. In all probability, they will become diagnostic and treatment stations, while recuperation will be shifted to homes. The India Conference is one of the largest student-run conferences focusing on India in the USA. It is hosted by the Harvard Business School and Harvard Kennedy School by the graduate students of Harvard University. In 2017, India Conference will be celebrating our 14th anniversary. 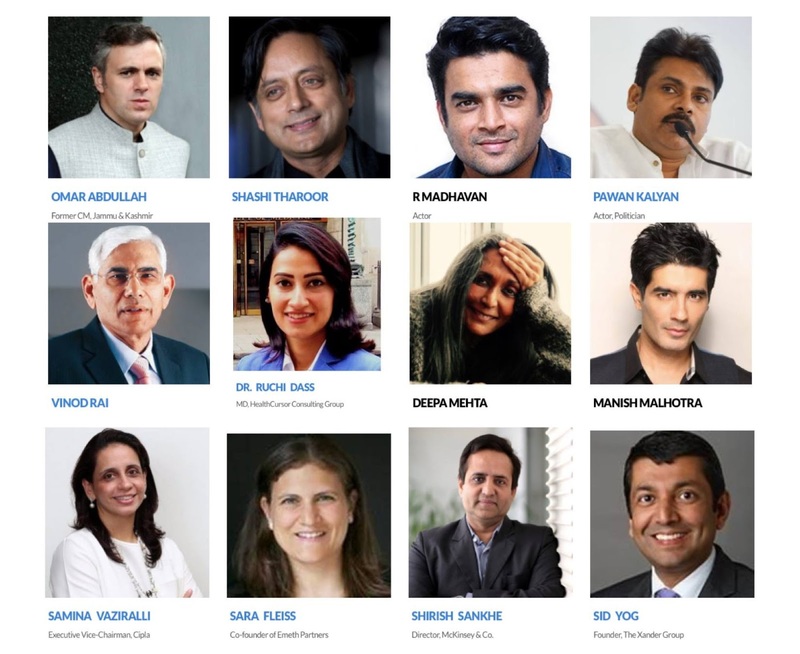 The conference will bring together business leaders, entertainment professionals, government officials, philanthropists, and many other leaders to engage in a conversation about India’s path to global leadership. Our 2016 conference had over 1000 attendees and was a resounding success. 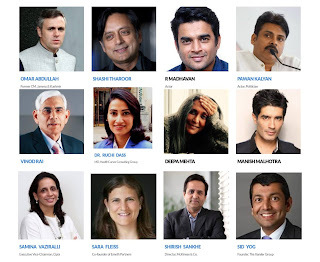 Learn more from experts at India conference about Union budget measures, infrastructure, arts, technology growth, rural economy, new businesses, global synergies and demonetization. Refer to the agenda here and register.